There’s nothing like bringing home a shiny new stroller for your new baby. The perfect fabric has never seen spit-up or a single cracker crumb. Scuff marks? Forget it… the frame is practically sparkling. And the wheels are so clean you don’t care that it’s parked on your living room rug. From messes of all varieties to unfortunate sidewalk snafus, strollers bear the brunt of hitting the town with a baby in tow. 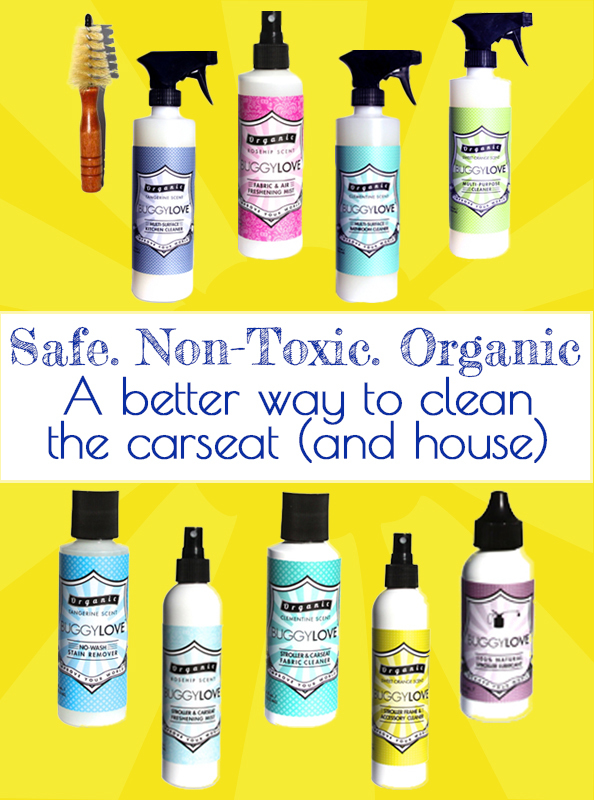 But you can keep yours looking good as new with the Organic Stroller Cleaning Kit from BuggyLOVE. The kit includes 100% organic, all natural stroller lubricant to nip squeaks and squeals in the bud, fabric cleaner, surface cleaner, freshening mist, a wheel scrub brush, microfiber cloth, and carry-all bag. You’ll love how it smells, how it works, and most importantly, how safe the ingredients are for your baby. Just a heads up, BuggyLOVE will bring your inner neat freak out in full force. It’s a safe, easy, and dare we say fun way to keep your kiddo’s stroller in mint condition… at least until the Cheerios hit the fan.